18th edition of FICCI Frames-2017 was held in Mumbai with the theme ‘Digital: Divide or dividend’. It is an annual Asia’s largest convention on business of media and entertainment, and is organised by the largest and oldest apex business organisation in India-FICCI. State Bank of India’s Chairman, Arundhati Bhattacharya, is ranked 26 out of 50 in Fortune Magazine’s World’s 50 Greatest Leaders 2017. Theo Epstien, president of Baseball Operations at Chicago Cubs, was ranked 1st. Sangin, a crucial town in south Afghanistan has been captured by the Taliban group. This is a major advantage for the Taliban and will further their motives in Afghanistan. The World Bank signed a 100 Million USD credit agreement with the Government of India and the Uttarakhand state to improve the health care services of the state. The agreement is aimed towards making available affordable and quality health care to the citizens. It becomes all the more essential owing to lack of health-care staff in the state. The headquarters of World Bank is in Washington D.C.
Raghu Rai, a photojournalist and photographer, was honoured with the Lifetime Achievement at the National Photography Awards by Union Minister of Information and Broadcasting M. Venkaiah Naidu. 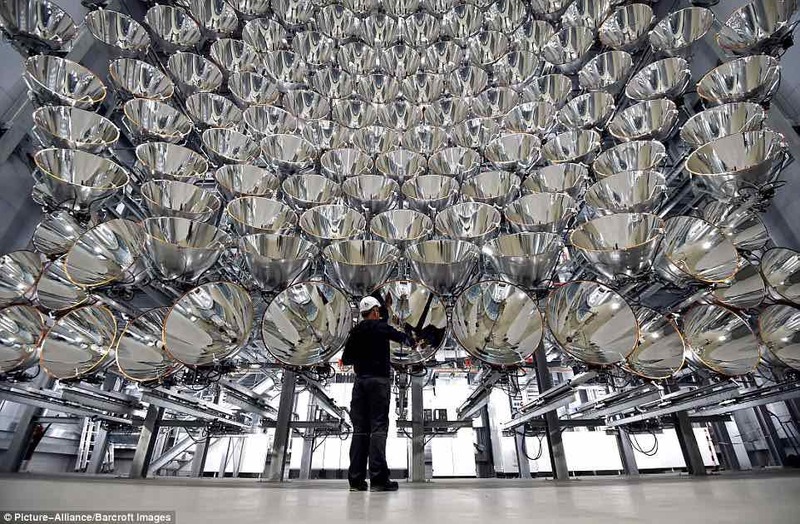 World’s largest artificial sun was set up in Germany as a “Synlight” Experiment. It will produce hydrogen in a carbon-neutral way so as to use them to fuel cars and airplanes. India’s first vertical garden was set up in Bengaluru at the Hosur Road Electronics City Flyover. It is the initiative of an NGO called SayTrees aimed at controlling the pollution in the city. The world’s first vertical garden was set up in China. A grievances redressal online portal, called MoPNG e-Seva was launched by The Minister of State for Petroleum and Natural Gas, Shri Dharmendra Pradhan. It is a portal to redress all grievances relating to the Oil and Gas Sector. A book called “50 Years- The Great Indian Milk Revolution” was launched to commemorate National Dairy Development Board’s Golden Jubilee year. It highlights the board’s efforts towards bringing a socio-economic change in the rural India and summarizes its 50-year journey. March 24 is celebrated as the World Tuberculosis Day in order to create awareness and support world-wide efforts to eliminate tuberculosis. The theme for 2017 is Unite to End TB. India aims to end the disease by 2030. Tuberculosis is caused by a mycobacterium tuberculosis bacterium that affects the lungs and then spreads to the rest of the body. The vaccine for Tuberculosis is called BCG or Calmette-Guerin.